Are you struggling with Cellulite? Do you want to diminish unsightly bumps and/or dimples. Would you enjoy visibly smoother skin? Clarity Medspa is proud to introduce BioElixia™ Anti-Cellulite Reduction Cream. This is a patented and unique dermal delivery system that is non-irritating. BioElixia™ was developed after 13 years of Pharmacology Research and harnesses the power of patented TPM Delivery Technology (derived from natural Vitamin E). Unlike any other cream in the anti-cellulite category, this revolutionary formulation enhances the absorption of key anti-cellulite ingredients – a must for results! BioElixia™ is easy to use, has a pleasant texture and a pleasant scent. One only requires a small amount of product which is massaged using a circular motion. Combined with Exilis™ Radio Frequency Body Shaping, results are exponential! The feeling of skin’s tightness and tone. The appearance of skin’s moisture and hydration. NO Artifical Colours and Dyes, SLS, SLES’s and DEA’s. 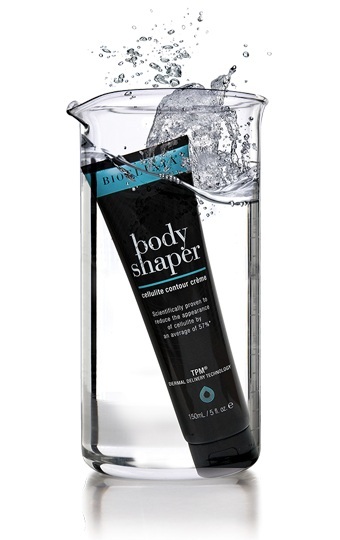 BioElixia™ is Scientifically proven to reduce the appearance of cellulite by an average of 57%.